The Suvela neighborhood in Espoo is one of the most multicultural districts in the Helsinki metropolitan region. Roughly one third of the inhabitants are of foreign descent. Cultural diversity is both a rich potential and a challenge to the community. 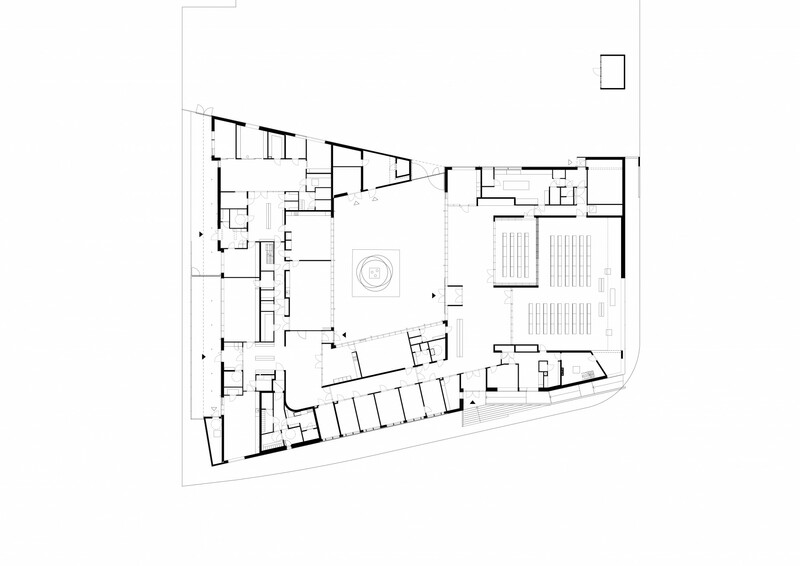 OOPEAA embarked on the design and planning for the Suvela Chapel and the adjacent community park in 2012. 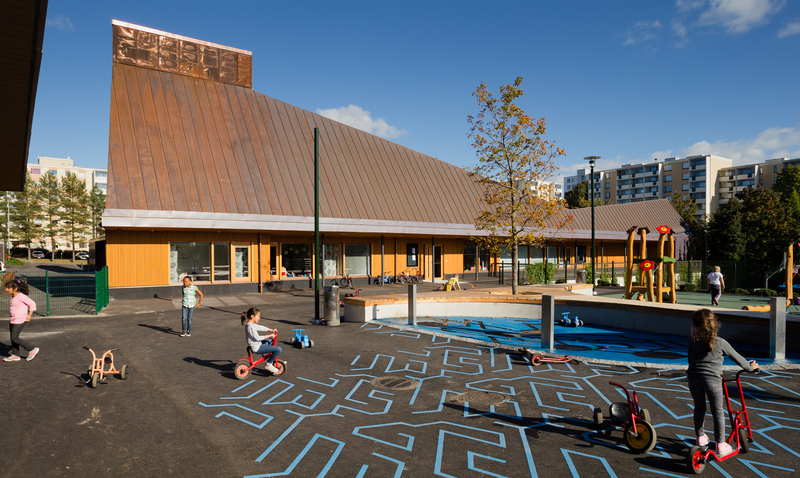 The goal was to create a building that could offer opportunities for a rich variety of different types of activities and to provide a framework for the residents to come together in a flexibly adaptable and functional space. The chapel offers an inviting and welcoming atmosphere in a building that is easy to enter into. It is first and foremost a meeting place that serves members of the parish and other groups of people in the community alike. 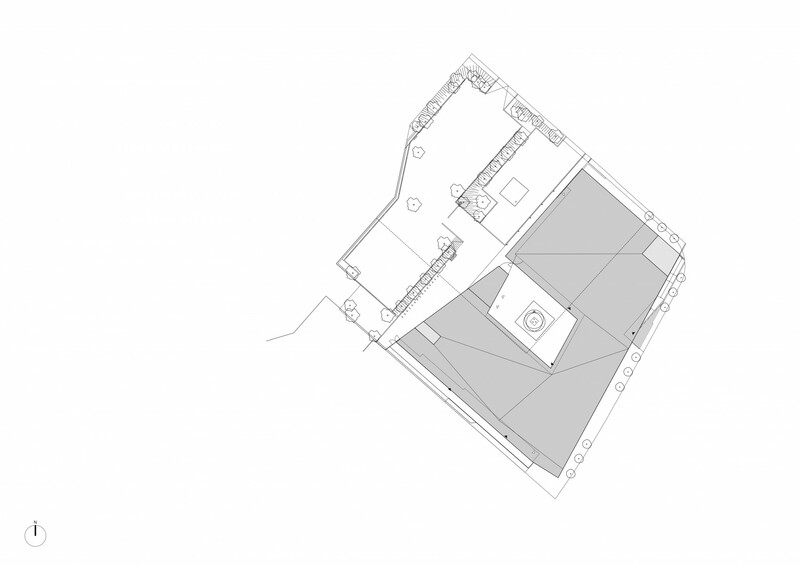 All functions are placed on just one level, and the building wraps into a single U-shaped entity that extends to the perimeter of the plot on the outer facade and forms an intimate interior courtyard in the middle. The main entrance is placed in a corner where the U-shaped building opens to the inner courtyard, and the interior spaces all face the yard. The belfry is embedded in the main building volume providing further closure to the yard. The main chapel hall with its auxiliary spaces is located in the north-east part of the builduing. Offices and work spaces of the parish staff along with additional meeting and group work spaces are located in the middle part of the U-shaped volume. Spaces for children and the youth as well as spaces that are rented out to the city to serve the community park are located on the other side of the U-shaped volume in the west part of the building. The spaces occupied by the community park face outward to the park. The height of the building varies greatly. The tall chapel hall rises up towards one corner of the lot. The building height gets gradually lower towards the office wing and rises higher again in the part closest to the community park. 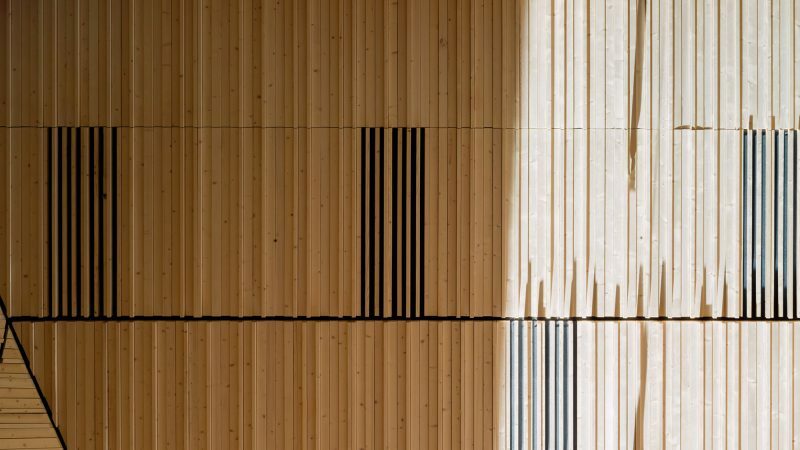 The building is a hybrid structure with wooden as well as concrete and steel elements. Wood is used also in the interior and exterior surfaces. 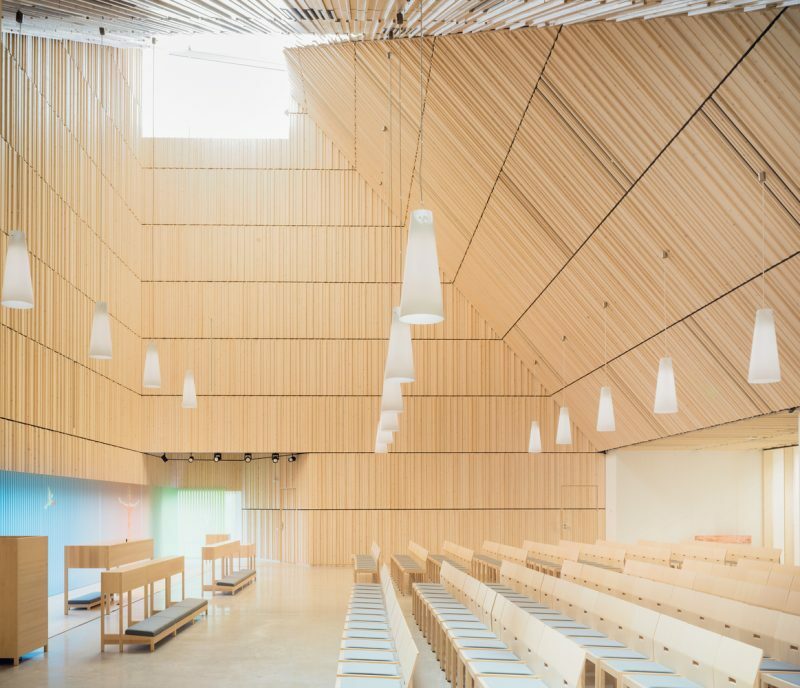 The presence of wood is most prominent in the tall chapel hall where the walls are for the most part covered with wooden scantlings. 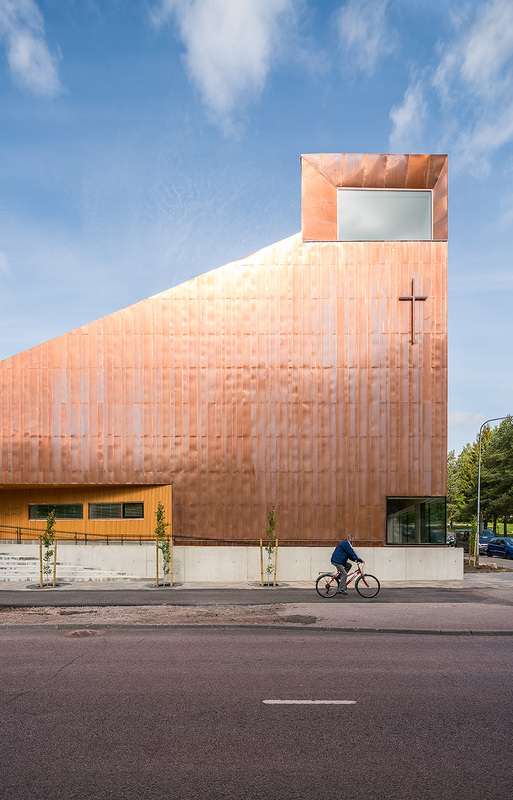 The exterior shell is clad with copper. 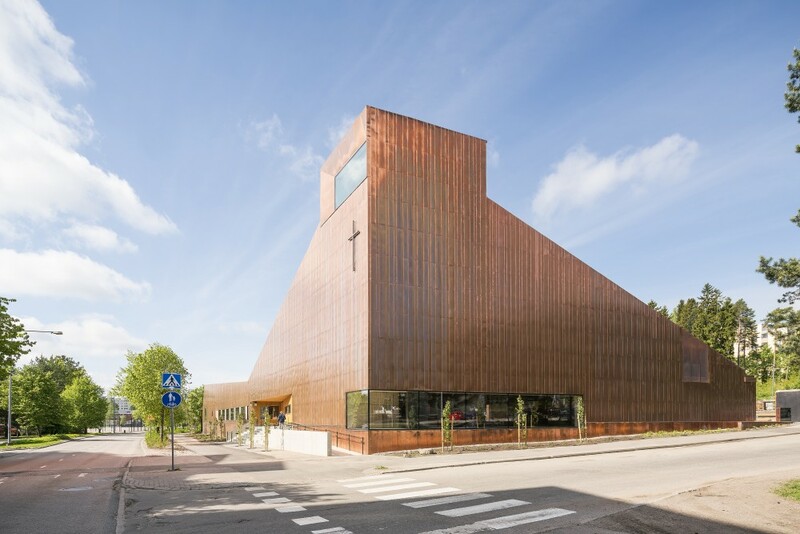 The sheets of copper that line the exterior walls extend over the roof as well emphasizing the varied volume of the building that is entirely clad in one material. The construction was completed in April 2016 and the Chapel was inaugurated in September 2016.